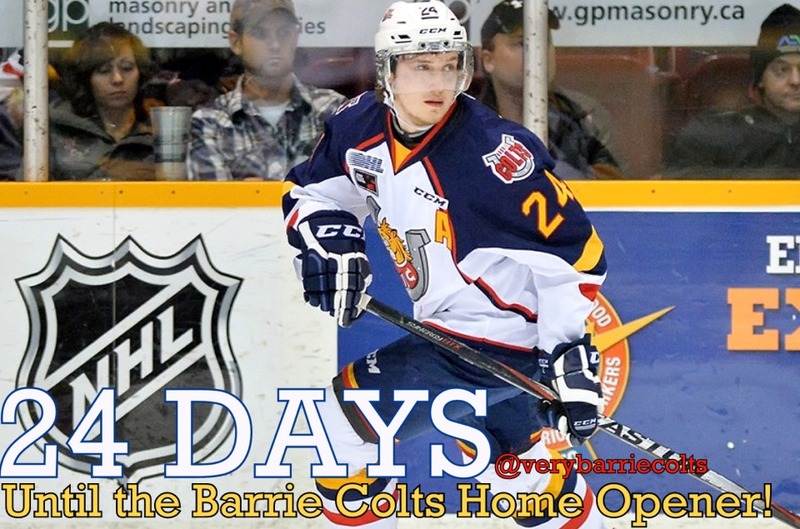 24 Days until the Barrie Colts 2018-19 Home Opener! (Michael Webster) #OHL - Very Barrie Colts | A website covering the Barrie Colts of the OHL. 24 days until the start of the Barrie Colts 2018-19 regular season! Michael Webster wore 24 with the Colts for 4 seasons. Barrie selected Webster 233 overall at the 2011 OHL Priority Selection draft. He would play his rookie season in 2012-13 posting a total of 11 assists over 63 games played. 2015-16 would be his OA season with the Ponies and he was named the team’s 17th captain in team history. Mike went on to set career highs in goals (9), assists (35), plus/minus (31) and points (44). At the year's end, he was named the winner of the Mickey Renaud Captain’s Trophy, which is awarded to the OHL captain that best exemplifies leadership on, and off the ice. He did a lot of local charity work raising money for the Canadian Mental Health Association, including $21,000 for March Mullet in his final season with the team. Webster is the first and only Colt to win this award. Over his OHL career he played in 254 regular season games, scoring 18 goals, 77 assists for a total of 95 points. He appeared in 54 playoff games where he would score 2 goals and add 15 assists. This season he is set to play with the University of Toronto.